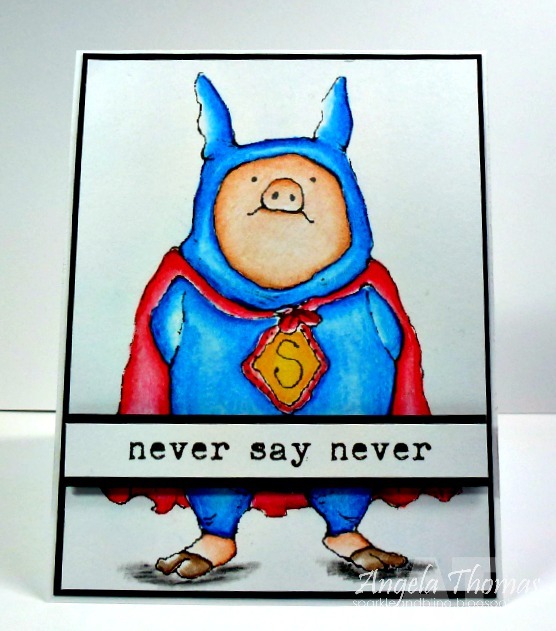 Sparkle and Bling: It's a bird, it's a plane, it's a super pig?? Hey there!!! Have you been checking out the sneak peeks on the Stamping Bella blog this week??? Aren't they fantastic? I think I need this entire release in my hot little hands ASAP!! 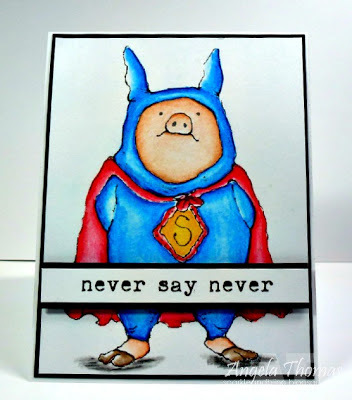 Parker the Super pig is AWESOME!!! I've colored him with Prismacolor Pencils and Gamsol. I decided to keep the card CAS to highlight how fantastic the image is. I didn't want to clutter it up with designer paper. Make sure you comment on the sneak peeks because you'll have a chance to win them!! !